केरल मैं गुरुवयुर मंदिर द्वारा संचालित कॉलेज मैं गौमांस खाने का आयोजन किया जाना क्या हिदुओं के लिए शर्म की बात नहीं है की अब उनके मंदिर भी उनके नहीं रहे .क्या मदरसों मैं सूअर का मांस या इसाई स्कूलों मैं इस तरह की घटना हो सकती थी ? हिन्दू समझौतावाद की सीमा निर्धारण की आवश्यकता है . क्योंकि आज कल बंगाल मैं भी सरकार की अनदेखी से इस तरह की अनेकों घटनाएँ हो रही हैं इस लिए हिन्दुओं का यह सोचना आवश्यक है की अब वोट बैंक की राजनीती मैं फँसी सरकारों से धर्म के संरक्षण की आशा व्यर्थ है .इसका समाधान हिन्दू समाज को ही खोजना होगा . Guruvayur-Thrissur (Kerala) : Beef fest was held in ShriKrishna college which is under the Guruvayur Devaswom Board. 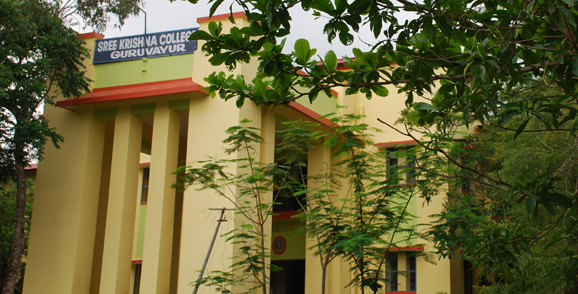 (It was held in the college which is under the Devaswom Board of Krushna, who was a Gorakshak.) (It was held by SFI and DYFI and thereby they challenged the faithful. On March 27th, by around 11 am, beef was cooked in the college campus and served to all. Leaders from outside took initiative/leadership for the same. If protest was the sole aim of these organisers, they could have selected another venue for the same. But since they served beef this in the institution which comes under Guruvayur Devaswom board, it is clear that their aim was to denigrate Hindu society. Even though ABVP activists met College Principal and protested against the program, no action has been taken. Even the Devaswom board is silent on this issue. The institution functions on the amount donated by the faithful and hence even though this incident occured, the Devaswom Board too is silent on the issue. The protest organised by SFI and DYFI against the ban on beef, is actually denigrating Hindu society.